A couple notes on the little picks - I bought Lexie some Valentine window clings from the Target dollar bin a couple weeks ago and she is obsessed. Best $2 I've ever spent! She can spend a solid 30 minutes sticking and resticking them on the fridge, and also has now taken to transferring them around to baskets and drawers in our kitchen (which is so darling to watch). Endless entertainment! She also loves balloons, which she calls "wuh-wuhs," so these are an easy way to make a holiday feel festive and fun for a toddler. And she's obsessed with all Eric Carle books, so I'm excited there's a Valentine one to read (we had to hide the Christmas one haha). 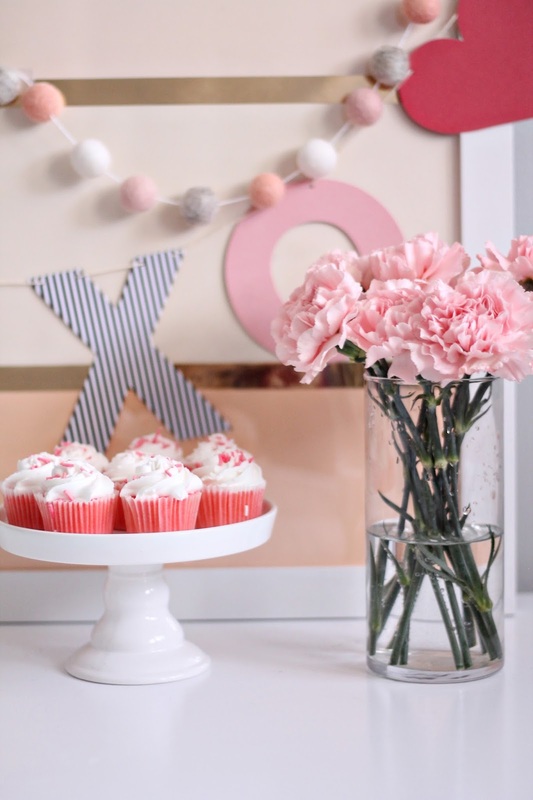 And I've already confessed my love for darling play food, so you know these sweet felt cupcakes need to be added to the collection. And for the mama - I wore a blush tulle skirt in our one-year family photo shoot and I just love how dreamy and whimsical it is. You can dress it up or down so easily. Also, don't miss the clutch - it has pom poms! And I've been dying to try these champagne gummy bears for ages, so V-Day feels like the perfect excuse. 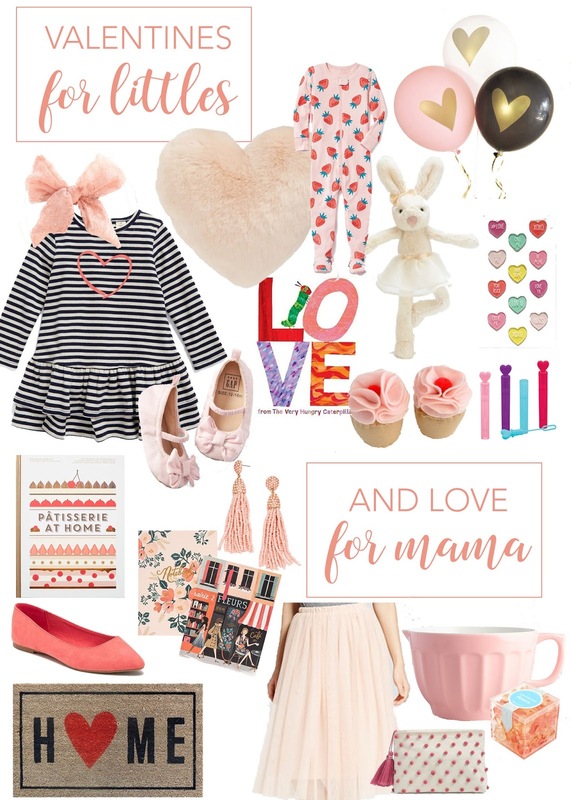 What do you do to make Valentine's feel special with little ones? Any special traditions to share?